The Middle East was both the birthplace of astronomy and the centre for its development during the medieval period. John M. Steele traces the development of the Late Babylonians' ingenious schemes for modelling planetary motion. He reveals how medieval Islamic advances in the study of the heavens, and the design of precise astronomical instruments, led to breakthroughs by Renaissance practitioners such as Copernicus and Kepler. 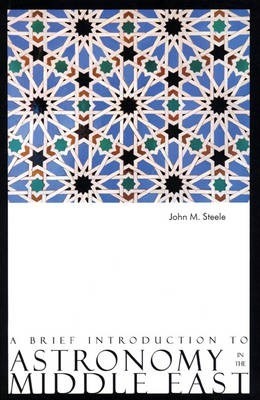 Steele offers a fascinating insight into the history of astronomy in the Middle East and its profound influence on the rest of the world.